Why should we treat animals in a horrible way? Why would you have an animal if you are going to treat the animal in a bad way. I don’t understand why a lot of people treat animals in a very bad way. Some people think that they can punish animals in a very horrible way. In the United States it seems that most people have a pet and most people treat their cat or dog with respect. Animals are not always respected. I have seen people kick dogs and I have known situations where they don’t give food to dogs or they throw hot water to the dogs. In my country there are people that treat the animals very badly. I don’t understand why they hate animals. I think that the person that treats animals in bad way should be punished the same they punish the animals. But maybe this would just create more violence so this is not the answer. People who are violent and abusive need help. Somebody who works with violent gang members just said to me that he has never met a bad person; just wounded people who need healing. Maybe people are taking out their pain and their fear on the animals because they think it doesn’t matter. They are just animals and they don’t ask to go live with you. You take the animal to go live with you and this is a responsibility. It’s not fair to you or to the animal to treat the animals badly. Maybe the dog that you treat badly could save your life. You never know how much good could come; people look at the bad too much and they don’t see the good in themselves or even in the other living things around them. Wounded people need healing or they will continue to wound those around them. My point is that if you don’t like a dog don’t buy a dog. If you are not going to take good care of your dog ask yourself why? People in my country are very mean to the animals. This might happen more in places where people are afraid of violence or have experienced too much violence. Sometimes people would put poisonous things in tortillas to kill the dogs that get to their property. I remember that they killed my dog with poison . I cried because he was a good dog, he did not do bad things. The only thing that he did was that when I was going to school he used to follow me to school, and when I was entering class he used to go home. When it was time for me to get off school he used to be there waiting for me outside the school. That was every day. The only day that he didn’t go was when my grandma used to pick me up like he already knew that my grandma will pick me. I remember that day when they give him the poison he went to leave me at school in the morning but in the afternoon he was not there. He would have been always following me and then when I got to my house I asked my grandma for the dog. My grandma told me I thought he was with you because when you left to school he went with you and he has not come home yet. I told my grandma that I was going to look for him. When I did go look for him, he was on the sidewalk. He was with these white bubbles in his mouth and I started to cry. I ran to my grandma house and I told her that the dog was dead and she told me that she could not understand why the people were so evil. I asked my uncle to take him home and we buried him in front of the tomb of my other uncle. After he died I was so sad because that dog was the only company that I used to have and nobody was waiting for me outside of school. I hate when people treat animals badly. 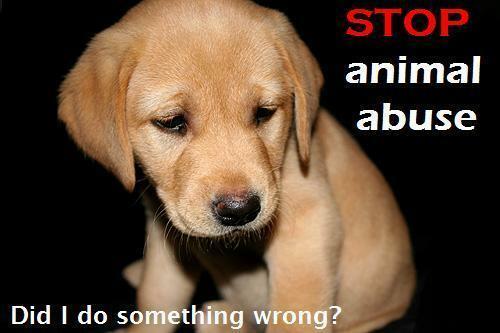 When you do violence to animals it is like child abuse. They are innocent. They don’t know anything. They don’t know what is right and what is wrong. It is sad that some people don’t understand that. Pet abuse is one of four predictors of domestic partner violence, according to a six-year “gold standard” study conducted in 11 metropolitan cities. [iii] In both domestic violence and child-abuse situations, abusers may manipulate and control their human victims through threatened or actual violence against family pets. I believed violence shall not be use for any reason much less with animals. Animals to me are pretty things that were created to make some of us lives better.They cover empty spaces that we need cover. Such as dogs and cats does with there playing games. From small to big somehow they contribute with the world. i believed they are innocents critters that only act according to their survival senses. They are not like humans to defend themselves from any abuse or being hit. We all should see animals as harmless living beings. Many animals suffer due to violence. Their will always be good and bad people in this world. What we should do when we see violence is report or do something else about it. I love animals of all types ,but there are many people who kill animals just for fun. I think it is very cruel. animals should not be treated badly because they are part of our ecosystem. I will be honest I do not like dogs but I will not treat them bad either. I like cats and for them I give everything.